The Captur is Renault's hot new bet for the Indian market. The car maker has launched the car at Rs. 9.99 lakh and it comes with petrol and diesel engine options, and the latter is the model we have tested. Now, if any of that premium positioning talk sounds familiar, it's because a similar pitch was made with the Duster – Renault’s best selling car that the Captur shares the M0 platform with. Unlike the Captur sold in Europe this is a bigger car, and yes while it is therefore similar to the Brazilian and Russian one, ours is a lot more upmarket. And that is intentional says Renault as it is trying to position the car a bit differently here. 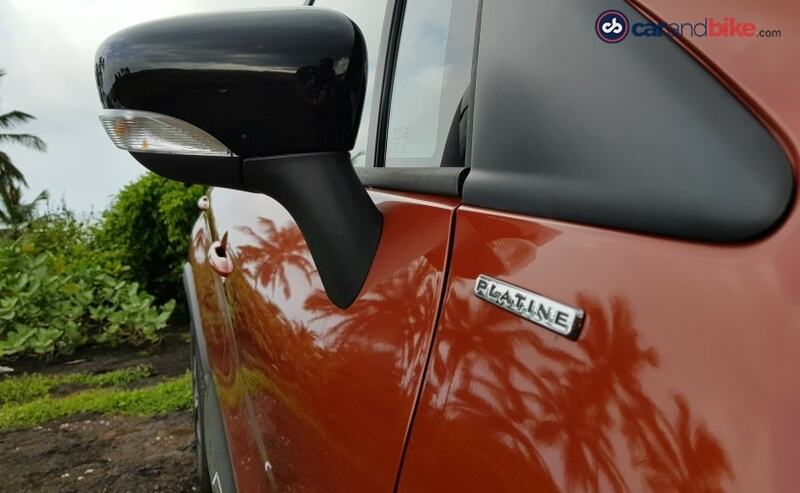 The main reason is that it believes that’s where the Indian consumer is going, and also to keep a distinct differentiation between the Duster and this car. So it is only in India that Renault will sell the car in a top end Platine variant. Oh and in case you’re wondering why ours isn’t called Kaptur like the Russian one? Well, Renault thinks that Captur will be easier to pronounce in India. In a market with products like KUV – where K stands for ‘Kool’, I don’t think Kaptur would’ve been a stretch! Go figure! Renault also says it is to follow the global naming mandate for this model family. So, it would appear Renault Russia went rogue didn’t it? Or maybe it was just a cultural thing. Let’s leave it at that! 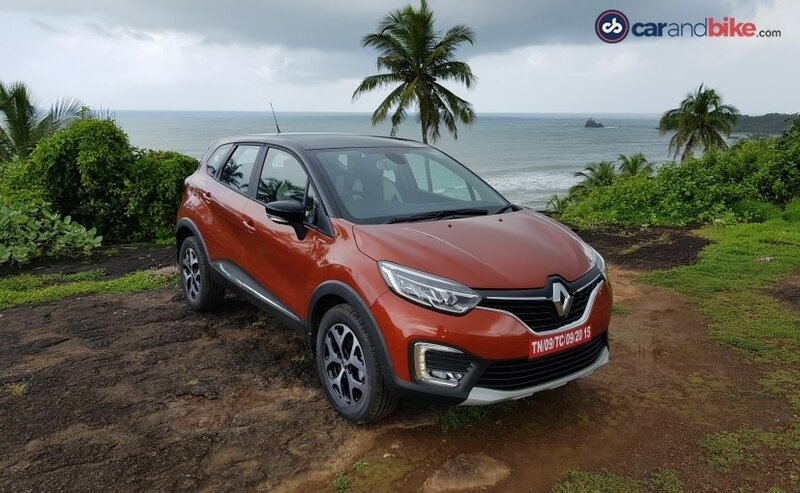 The Captur Platine is what I drove too, and it gets everything you can possibly think of – including specially designed quilted leatherette seats – much like a premium brand model would have. The top spec gets LED headlights and the roof is a contrast two-tone finish. The LED daytime running lights, floating front indicators (a la Audi), black cladding, 17” alloys, ‘ripple effect’ taillights and even safety features like dual airbags, ABS and EBD are standard. Isofix child seat restraints are as well, I should add. The driver-side seat is manually height adjustable – but sits almost too tall – I found the lowest position felt like it was fully raised – so never mind the highest! So Renault needs to take heed and maybe rework the height of the front seats. The central console and AC vents are finished with a ‘gold and white’ bezel – that to me looked more bronze and chrome! This is only in the top spec. 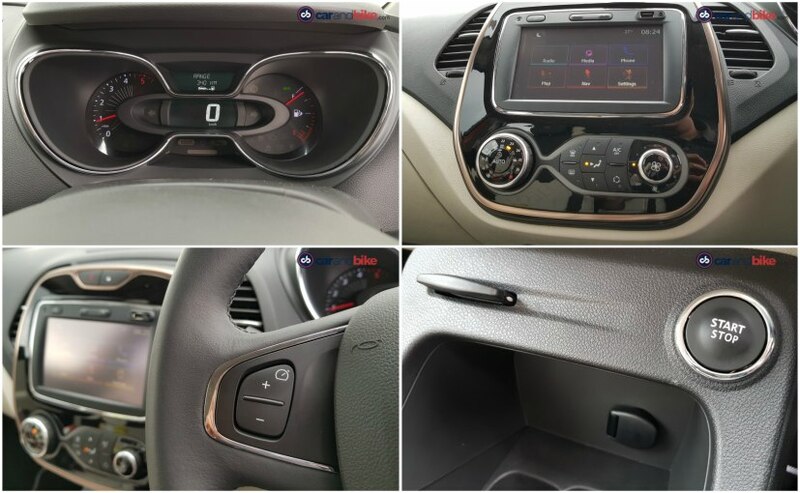 The console houses a touch screen with audio and navigation – much like the one seen in the Duster, Lodgy, and even the Kwid. The interface is also similar, and there is no Apple CarPlay or Android Auto sadly. Renault India says it’s working on bringing those to its cars soon. The car syncs your phone via Bluetooth anyway though and for music alone, the USB plugin will do just fine. The steering has controls for the phone etc., but for audio you have to access the stack behind the steering – like in the Duster and previous Renaults. It works fine but takes some getting used to. Rear legroom is not cavernous, but you won’t be terribly disappointed either. Knee room is good though, and there’s a rear AC vent (recirculation fan like in the Scala/Duster). I think if Renault gives us ‘killer’ pricing then the lack of generous room may be forgiven quite easily (just think Compass!). The seat back though is very comfortable and the extra ride height also has you sitting higher, giving you good knee angle and under-thigh support. Renault says it has spent extra on making the Indian version’s seats more comfy! It shows. Boot space is 392 litres and with the second row folded down that expands to 1352 litres. There is a charging point just behind the rear seat on the left side – that is easily accessible as it sits high alongside the parcel tray. Alright then, lets get to the drive shall we? Let me remind you I am only testing the diesel today. The K9K block is all too familiar, and by that I mean literally so! It behaves and performs almost exactly as its state of tune in the Duster Even the specs are pretty much identical. So the good news is that you will not have any surprises on the car. Its performs nearly identically too! The engine has lag at the lower end, and once you get it past 2000 rpm it goes like a rocket. The mid range is good, and you will find the gearbox is well mated to it – just like (you guessed it!) in the Duster! The 6-speed is a good choice as it channels the peak torque through to the wheels well. Peak torque kicks in under 1800 rpm and so you get good city traffic manoeuvrability too. The engine’s roar filters through to the cabin, but it is not disturbing or annoying. Its healthy and guttural, and the car sounds ready for action. Overall the sound damping is better than that on the Duster though. And that is the main difference – its like they took all the good bits on the Duster and just gave it an added layer of refinement. Considering the Duster’s success and popularity that’s not a bad thing now is it? Of course once you choose this route, remember that the bits that were lacking on the Duster have come along for the ride too. This is in terms of performance and dynamics of course. 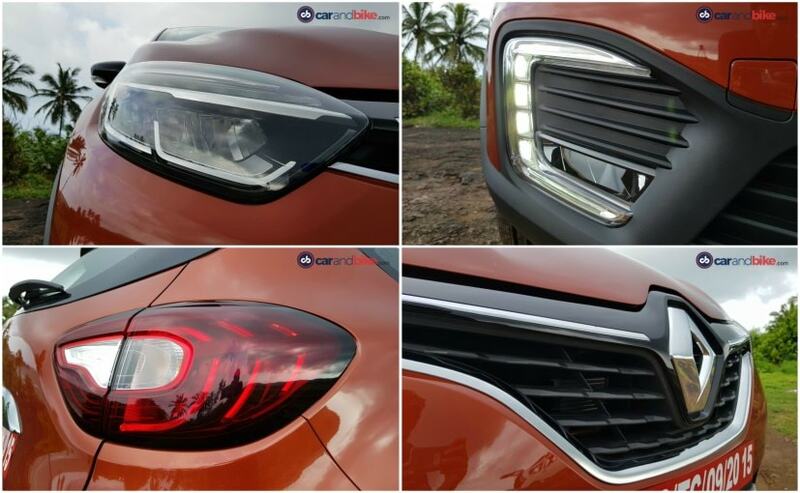 On interiors and overall materials and finish the Captur is definitely ahead. Handling is surprisingly good I have to say. I say surprisingly because I was worried that the rather generous 210 mm ground clearance would make it wobbly or top-heavy feeling. It is neither. The car takes corners well, though I wouldn’t go as far as to call it very sporty. Again – think Duster! So it holds an intended line, and the steering is properly stiff with decent feedback. The ride quality is also sorted and the suspension set up is indeed like the Duster’s. So it’s a supple ride, with the capability of swallowing up mostly anything. 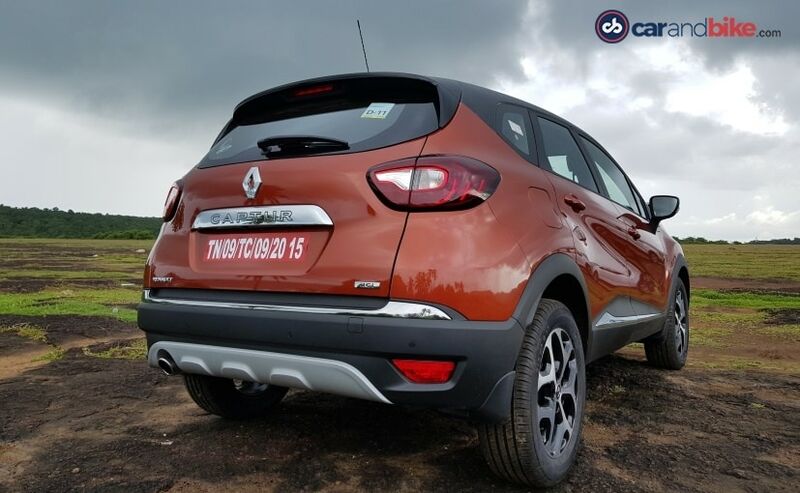 But the Captur does not get AWD, as Renault believes the buyer in this space isn’t really looking to go off-roading. And if they are then the Duster is the option for them anyway. I did mange to go off the road briefly – nothing too intense though. But the car handled it very well. Now the ground clearance certainly helped! 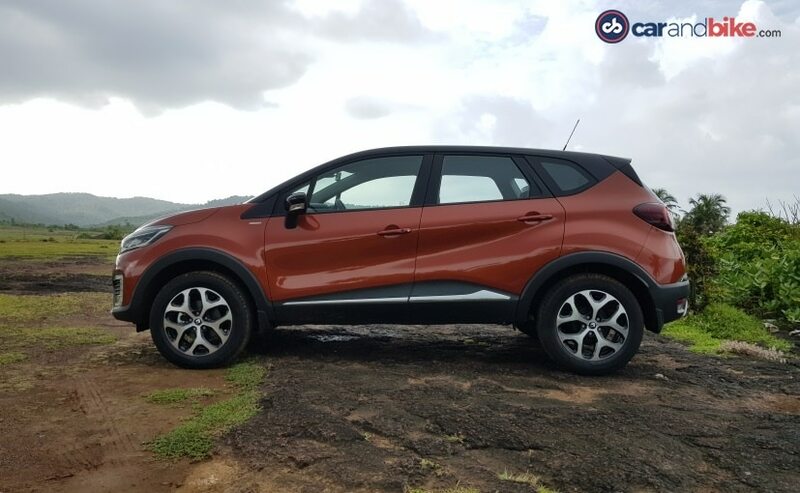 Renault says that of all the Captur iterations worldwide, the India spec has the highest clearance. 5mm higher than Russia’s Kaptur, and our Duster! But now to the incongruity in Renault’s contention. On the one hand Renault says this car is for the sophisticated, the upwardly mobile urbanite who doesn’t need 4X4. On the other it doesn’t offer that same customer an automatic option! Nope, that does not add up. You see the M0 platform with the diesel K9K isn’t offered with an autobox on any of its product lines. Even the Europe did not take an automatic (Dacia) Duster diesel, remember? That’s why Renault went in for its own homegrown AMT on the diesel Duster in India. And an AMT would certainly not work with the whole premium positioning of the Captur, now would it? 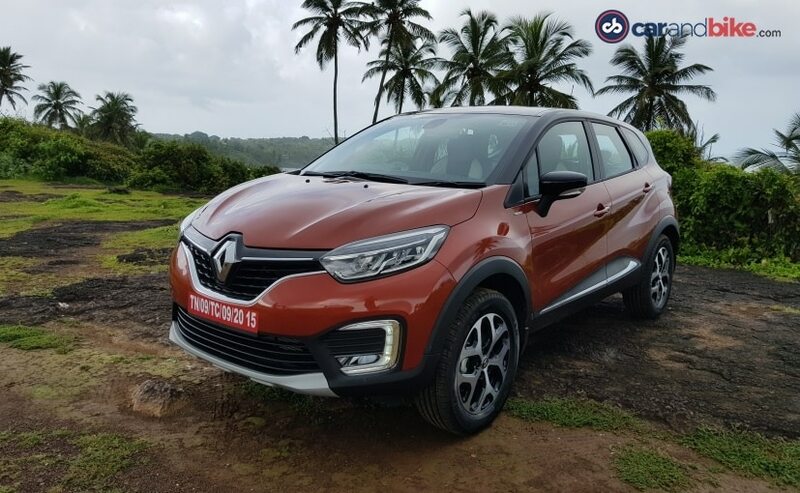 Enter the CVT on the petrol side – and there I hold out hope that Renault will launch the CVT Captur soon enough. With around 30 per cent of the Rs 10-18 lakh market going towards automatics, Renault cannot afford to have no offering for that buyer set. Food for thought then for the French company.